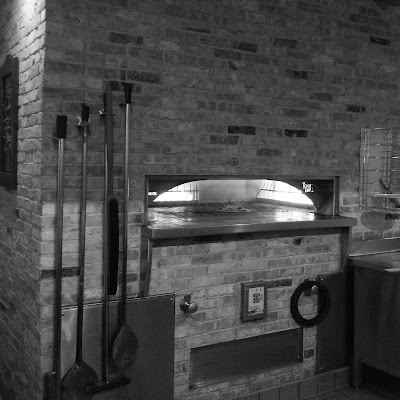 I'm waiting for a last minute pizza at Your Pie--one of my favorite brick oven pizza joints. It's calm now, most of the customers are gone, and the place is just about to close. Since I have a few minutes until my order is ready, I can't help but wonder what would happen if Zombies showed up at the door. What if Zombies lurked outside? If Zombies did show up, we'd have to barricade ourselves in. 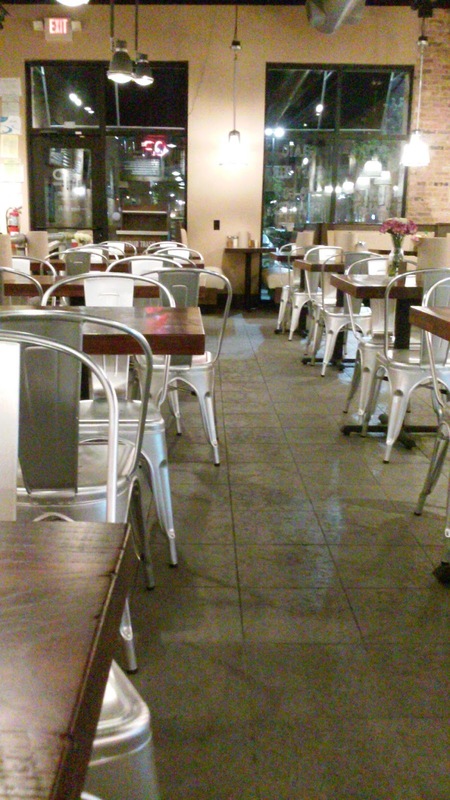 There are plenty of stout wooden tables that we could use as barricades. They might slow Zombies down a bit. Plus there are hand rails to guide the crowds into an orderly line up to the counter. The rails are all made of big heavy metal pipes. If you could take the rails apart, the pipes themselves would be awesome weapons. But, if the Zombies were here, now, there wouldn't be much time for that. Instead, we'd have to retreat and look for other protection. The middle of the restaurant is where they make the pizza. The huge brick oven has huge oar-like wood and metal spatulas hanging off to the side side. They would make fearsome pole arms if the staff was forced to make a last stand. The service counters are also protected by thick plexi-glass breath shields that help protect all the fresh ingredients from infectious customers. I wonder if the staff would let me back there. They wouldn't sacrifice me to the Zombie horde would they? I've been a good customer.